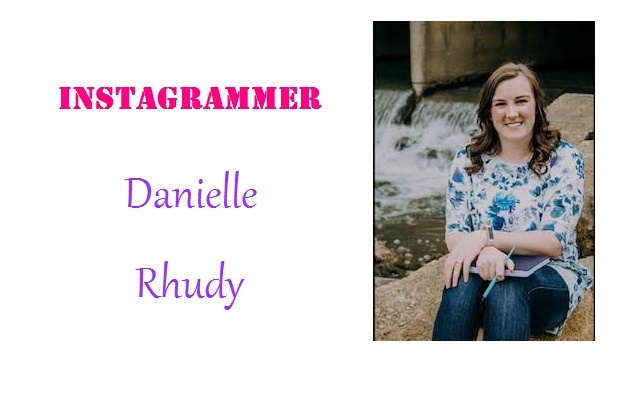 Danielle Rhudy is a young new bookstagrammer, spreading her love of reading and literature one day at a time. She is a full-time graduate, soon to be wife, and student who works as a freelance writer part time. When she’s not studying or working, Danielle is reading many different genres of books, though her favorites are fantasy, paranormal fiction, and young adult fiction. Sweet Tea and Library Books was her creation at the end of 2018 with the idea of taking beautiful photos of books, sharing short reviews, and talking books with many different people. The love of literature is what drove Danielle to create her bookstagram and blog. She wanted an outlet to talk about her favorite books and stories as well as read reviews of other books. Becoming a reviewer has always been a dream for her, and she finally took the leap to open her own blog. In today’s interview, Danielle speaks about the joy of reviewing novels and helps authors in their attempts to approach reviewers. If you are a writer, please stop by to check the best tips & tricks From Writing To Publishing and sign up to my Newsletter for the latest & greatest. 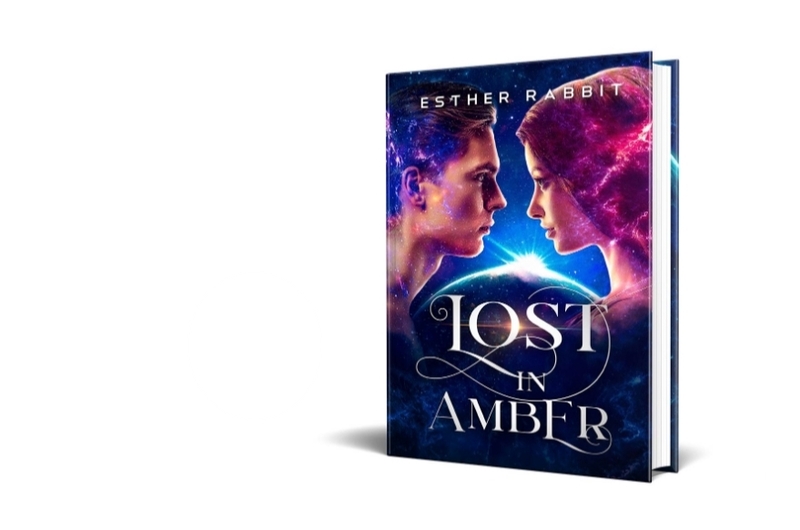 Esther Rabbit: Is book reviewing a full time job or professional hobby in your case? Book reviewing is not a full time job for me. It is a professional hobby that started as a way to share books. It has become more of a way to express my feelings about various books or stories, and I enjoy communication with other book lovers. Do I wish it were a full time job? Of course! Who wouldn’t love reading, reviewing, and sharing books all day, every day. It would be fun, but unless something drastic happens in the next few months, I think my blog will just remain my fun hobby. I like to think of book reviewing as a fun hobby. Because of that, I don’t charge for my reviewing services. I review all books that I read, but I really enjoy reading indy authors or small publishers’ books because it gives them a chance to be seen in the world of bookstagram. In the future, I might charge larger publishing houses, especially if my blog grows in the next few years. However, it will remain a fun, free hobby for now. Genre questions are so fun for me! I love books of all kinds, but like every reader, I do have preferences. Some of my favorite genres to read are things like fantasy, young adult fiction, and paranormal romance. I will read some romance, but I lean more toward contemporary romance or historical romance. Fantasy is my most favorite genre of the entire list. I enjoy the settings and various worlds. I also love the characters and the plots that often come with fantasy novels. Some of my favorite authors are Sarah J Maas, Holly Black, and Rick Riordan, though I love discovering new authors! I have had a few authors approach me about reading and reviewing their novels, though my Instagram and blog is still new. I actually love when authors approach me about their books. It gives me a chance to discover new authors, books, and stories. I haven’t approached an author about their books yet, but I have considered approaching publishing houses that publish books in my favorite genres. I think it would be fun to review new releases that the publishing companies release throughout the year. I will say, when authors approach me about reviewing a novel, I like to read the blurb before I decide whether to read and review. Esther Rabbit: When authors approach you to review their books, what information would you like them to include? There are a few things that I like for authors to include when they approach me about reviewing their book. First, I would like to know their name as well as the name of the book they would like me to review. Second, I would prefer to read a blurb about the novel just to see what the book is about before I accept the novel for review. Third, I like to know a little bit more about the author. Finally, I would like to know how soon they would like for me to read and review the novel. As a full-time grad student, I work hard to keep my assignments up to date each week. Because of this, I sometimes have to forgo pleasure reading to get my work finished. This can sometimes push a review back as well. However, most authors have been willing to work with me on a timeline. Esther Rabbit: Obviously, there’s a lot of work behind book reviewing – reading, taking notes, editing your Blog/Vlog/Channel. Can you give us some insight on your life behind the scenes and how you build up towards a successful post/vlog? My blog is still very small. I have only a few regular readers right now, and though my Instagram is growing rather quickly, I am still small. However, that doesn’t stop me from working hard to ensure that my content and photos are just right for my vision. I spend most of my time working on my photographs because I think the covers of the books are the windows into the story. A good cover can either grab or turn away a reader. I try to create scenes that highlight the beauty of the book cover to ensure that I am doing the book justice. I also work hard to create catchy reviews for readers. My specialty is one-line reviews, and I got the idea from “Everything, Everything” by Nicola Yoon. I try to create something catchy that encompasses the entire theme or plot of the book, which can sometimes be difficult. To create a successful blog to me requires a dedication to posting often with catchy content that viewers and readers will love to view regularly. Communication is also important, which is why I try to keep up with comments and likes on my own posts and others’ posts. Esther Rabbit: Why do you do it? There are many reasons why I started a bookstagram, but my biggest reason was to connect with other readers. The book communities are often sucked up into their books, and they forget to interact with other readers. I come from a small town, which means my library is not very big. Because of this, reading groups and book clubs are limited. It is nice to have a community of book lovers to share my passion for reading and books. I also really loved the aspect of creating beautiful photographs of beautiful books. Now that I have been running my bookstagram for a few months, I have found that the discussion of books with my new friends is one reason why I keep posting, reading, and reviewing.